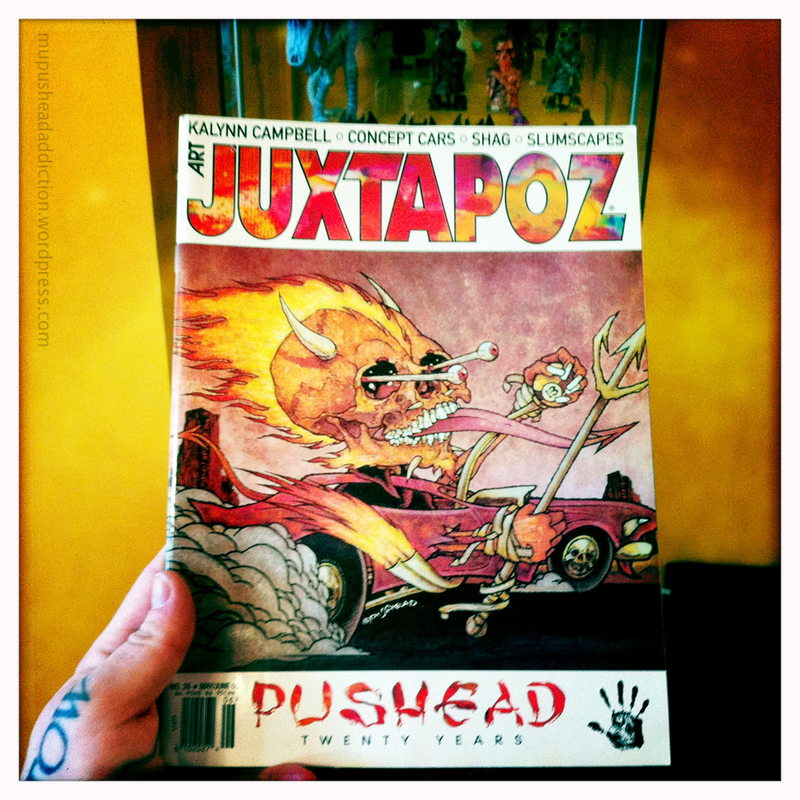 The May/June 2000 Issue of Juxtapoz featured a Pushead cover/article by CR Stecyk III. The eight page article gives a basic rundown of Pushead’s early years and features color and b&w art; all stuff that you’ve seen before/since but a nice little primer for folks who may not be familiar with Pus’s bio. “One night, Rick Griffin and Stanley Mouse came by my house and made the request to take a look at my originals. When I pulled them out, the were in excited shock. I was dumbfounded by this and asked them why. They explained to me that they were surprised tat there was no white out/white paint on any of them. I told them that when I saw artwork like theirs, I saw how it was reproduced, not how it originated. And that I taught myself to draw it like that. If I ever made a mistake, I would start all over just to retain that look”- Pushead.